Our full-service electronic proxy, voting and governance notice distribution services takes the stress and hassle out of running Annual General Meetings. 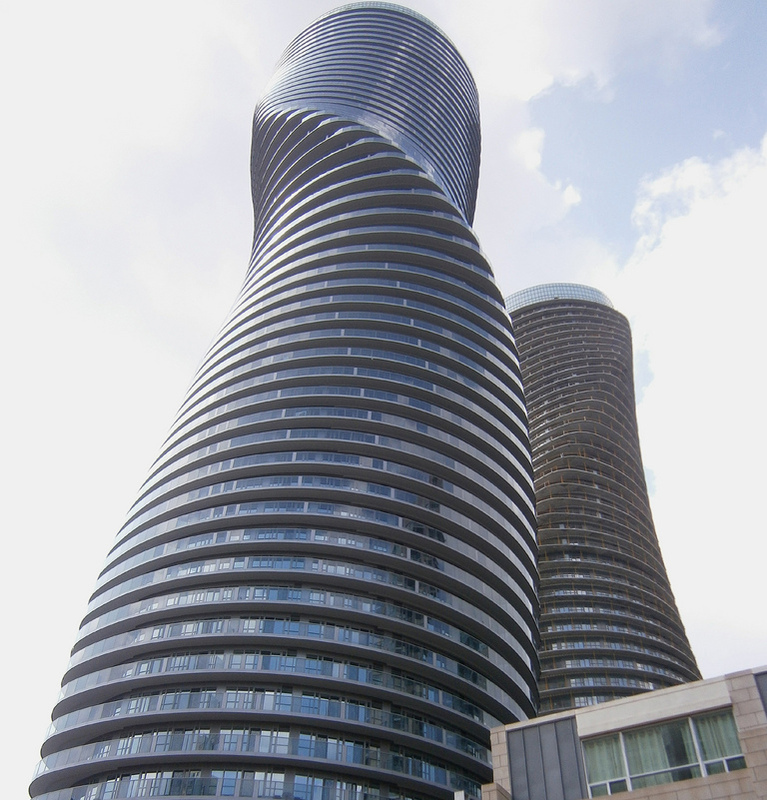 Trusted by hundreds of condominium corporations and property management companies. 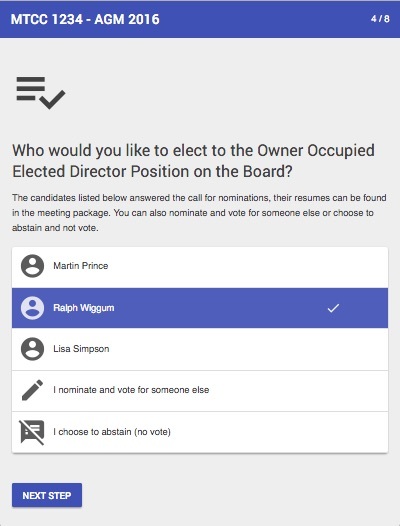 "GetQuorum helped us reach quorum for the first time in 6 years, pass a Standard Unit Bylaw, and save thousands of dollars on printing costs." No setup required. No setup fees. Perfect for busy management teams. Online package delivery equals less printing, less mailing, and more saving. Our clients have seen voter participation increase by more than 100%. Reaching more owners and getting more votes makes it easier to pass bylaws. Reach more owners. Get more votes. 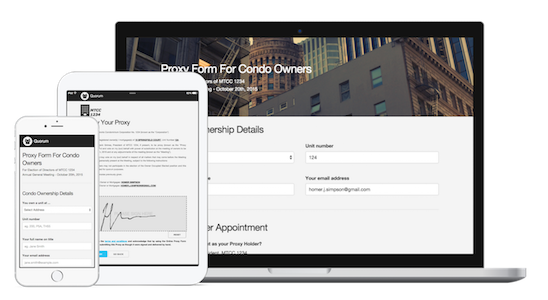 Not only will you reach more owners, you’ll make voting as simple and secure as possible. This means more proxies or ballots, as GetQuorum clients who have doubled their voter participation can testify. Less printing and mailing. More saving. Printing and mailing of hardcopy meeting packages is one of the biggest costs for an AGM. GetQuorum saves you time and money by delivering these documents digitally. In fact, our clients cut these costs by an average of 60%. Prevent proxy fraud and increase voting transparency. We collect votes from owners securely and independently, proxies or ballots are stored within our system for a minimum of one year and are auditabe on-demand. Ready to make your next AGM a success?